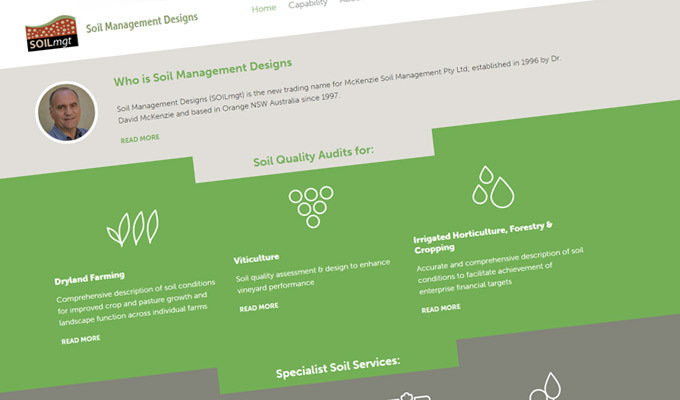 Dr. David McKenzie of McKenzie Soil Management Pty Ltd approached Sauce Design to help with an illustration for a publication he was working on; they were very happy with the result. 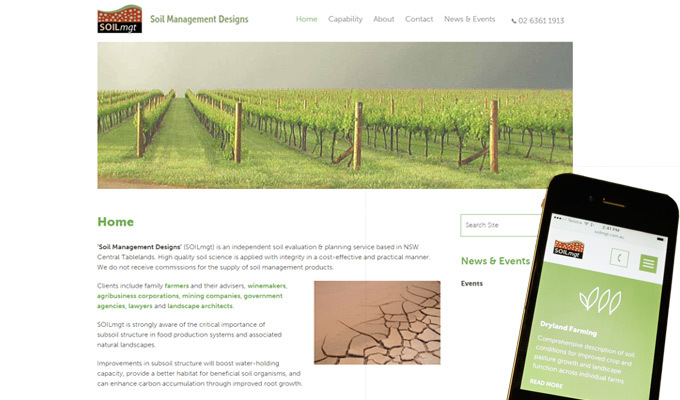 We were delighted when asked to assist with the redevelopment of their site to help modernise the design and functionality to create more of a web presence. 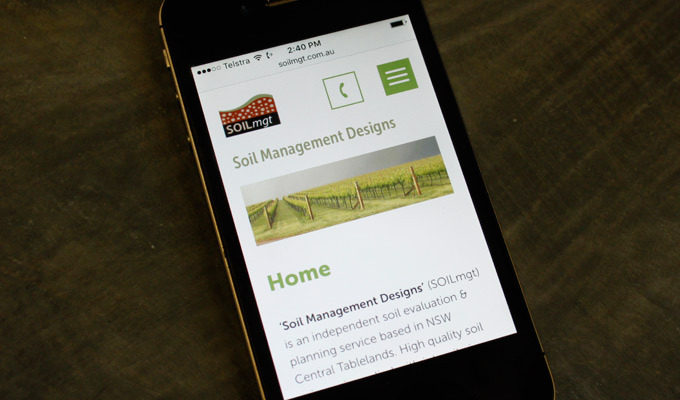 The new website recently launched is responsive with a clean fresh look and feel, easy to navigate, with icon visual cues. Thanks for keeping an eye on my website. 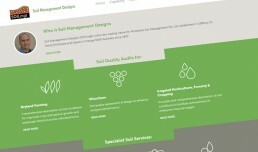 I was pleased to see it featured on the Sauce Design website – always good to get some extra publicity. The new sign on my office door also worked out well. I enjoyed working with you during 2015 – thanks again for the excellent inputs.